This French computer scientist is probably more notable for his contribution towards the development of the internet by creating ARPANET. 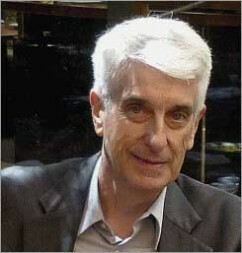 Vallée also has a master’s degree in astrophysics and a PhD in computer science and became a close associate with Allen Hynek, who was his mentor. However, in addition to this, Jacques Vallée has been called one of the most important ufologists of the last 50 years. As an ufologist, he stands out by investigating the phenomenon in the field by interviewing witnesses’ first-hand. Also instead of pursuing spectacular theories, he develops conclusions that are based on scientific results rather than speculating or jumping on the popular bandwagon. Vallée is well known in the scientific sphere and also receives recognition from the general public. For example, he acted as the role model for the character of Dr. Claude Lacombe in the Spielberg movie “Close Encounters of the Third Kind”. The UFO phenomenon first attracted his attention when he was a student. He and his mother had a sighting in Pontoise (France) in May 1955, which was later confirmed by a friend who lived few miles away. Vallée described what he witnessed in his journals. “What I observed was a grey, metallic disk with a clear bubble on top. It was about the apparent size of the moon and it hovered silently in the sky above the church at Saint-Malcou”. These journals were published in 1992 as Forbidden Science: Journals 1957-1969 in and provided both in-depth knowledge as well as Vallée’s own, personal insight. Six years after this sighting, Vallée detected two unknown objects with a retrograde orbit while working for the French Space Committee. These experiences led to his deepening interest in UFOs and also led him to question mainstreams hypotheses. By rejecting the mainstream ideas and speculations, Vallée pursues a quest for the truth with science, logic, evidence and common sense. Unfortunately, this way of thinking was not always appreciated in mainstream UFO circles, causing him to disappear from the UFO stage from time to time and conduct his own investigations in the background. While traveling the world, conducting his investigations and compiling evidence and patterns, Vallée became enthralled by similarities of modern UFO sightings and folklore tales from many cultures. He began to see a common thread, or pattern, of flying objects and their inhabitants across a wide spectrum of cultures from both modern sightings and historic reports. This resulted in the book “Passport to Magonia” which had a major impact on mainstream ufology. Here Vallée states “Like Picasso and his art, the great UFO Masters shapes our culture, but most of us remain unaware of it”. Vallée’s research drove him to the rejection of Extraterrestrial Hypothesis, “I do not believe anymore that UFOs are simply spacecraft of some race of extraterrestrial visitors. This notion is too simplistic to explain their appearance, the frequency of their manifestations throughout recorded history, and the structure of the information exchanged with them during contact”. According to Vallée the close encounters are far more numerous than required for a physical survey of the earth. Also the humanoid body of the “Aliens” are too similar to ours and is not biologically adapted for space travel. He believes that the behaviour of abductions contradicts the idea of genetic scientific experimentation on humans by an advanced race and that the phenomenon throughout human history shows that it is not a contemporary phenomenon. In his words: “I would be disappointed if they turn out to be only spacecraft from outer space”. Vallée’s work as an ufologist has impacted our understanding of UFOs today. Vallée has published over twenty books, with over ten books specifically regarding UFOs. His contributions bring him to the fore of ufology.